5 Types of Parents who Damage Their Kids - Something New Everyday! Our relationship with our parents influences us throughout our whole lives and molds our personality, behavior, and self-confidence. If we're lucky, our parents will have a positive impact on our lives, but if we're not, then the opposite holds true. The question that stands out at this point is: what happens if we grew up in a home with "difficult" parents? Dr. Terri Apter, a psychologist and author of "Difficult Mothers: Understanding and Overcoming Their Power," has extensively researched the topic. In her book, she outlines and defines 5 types of harmful parents and the ways you can turn any negative impacts that they left, into positive ones. Parents of young children will also find the following read interesting. It will also prevent them from making a lot of damaging mistakes when raising their own children, allowing them to raise healthy, successful, and happy children. Every parent succumbs to anger from time to time, especially when tired or stressed, or when their child is in danger and must be warned of such, or when a life lesson needs to be taught. Although no child s it when their parents get angry at them, occasional outbursts don't cause damaging relationships. 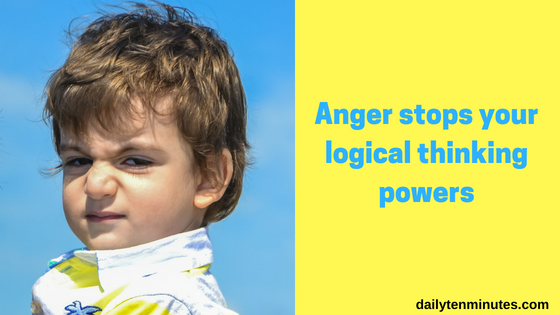 The real problem starts when a parent constantly gets angry and uses this anger to control their family. When anger is constantly hovering over them, kids are always at the ready and are waiting for the next emotional outburst. In addition to the emotional damage this causes, long-term stressful situations can cause physical damage to children's brains. When they are under constant stress their brains produce less mental connections that are needed for emotional regulation. Consequently, these kids are unable to self-soothe and control their reactions. Furthermore, if the problem isn't tended to it may carry on into adulthood. In fact, many adults claim that they still get nervous at the sight of their angry parents, and grow up with the feeling that everything they do is wrong. These people will eventually become appeasers that will do anything to please others. If this is where you find yourself, the advantage that you have is that you are very able because you know how to calm others in embarrassing situations. However, don't let your tendency to help and please others keep you from making real friendships – you must let others see the real you, the you that you hide in order to not anger others. Controlling parents will try to take over every aspect of their child's life, to the point where they will tell them what to see, how to feel and what to want. In a healthy relationship between parents and children control is used to shape general values and convey clear rules, but at the same time they listen to the child's needs and respect the child's ability to make their own decisions. On the other hand, controlling parents have the tendency to convey damaging messages such as, "I know exactly who you are and who you aren't," or, 'you need to be this type of person and that's more important than what you want." This type of parent sees themselves as the sole rulers of their child's mind. Kids that constantly hear "mothers are always right" become children that don't trust their wants, needs, and potential. Even making a simple decision on their own can cause them to suffer from anxiety. The children often tend to lie more, as they will say anything to please their parents. If you feel that you've suffered in the past from this type of situation, know that there is a silver lining. Presently you probably weigh your thoughts and opinions out carefully before you express them to others that might not agree with you and drag you into an unnecessary argument. However, even as adults who aren't close to their parents, you might still be carrying many childhood scars. If you share your experiences and fears with someone dear to you, or a professional, you will most probably be able to identify some problematic points that still affect you. What is recommended, is that you overcome a lack of control and the silencing you've experienced by creating a list that contains all the things that you find interesting and turning them into a goals and aspirations list that will accompany you on the journey to self-realization and expression. Narcissism causes a person to be unempathetic of others and self–centered. Therefore, when this disorder is combined with parenthood, the children of narcissists usually suffer from a lack of emotional expression and affection – something that is important for children of all ages. This type of parent sees any call for attention as competition. For example, a child who tells his parents that he is tired will be responded to with "don't talk to me about being tired, I've been working all day, you don't even know what it means to be tired." This egocentric way of thinking causes these parents to see their children as a reflection of themselves and therefore, they have to be best at everything so they can compare to them. This is a very confusing situation for a child that is under constant pressure to feed their parents ego along with the expectation to be outstanding and perfect. A narcissistic parent craves attention and admiration, something which stems from low self-esteem, but no matter how much the child tries to please their parents, they will always encounter dissatisfaction regardless of their efforts. Narcissistic people also have fragile relationships with others, because their ego is hurt by the smallest things, they may even sever their relationships with their friends or punish them with the purpose of hurting them. Children who grow up in this situation are often in fear that their relationship with their parents can be broken at any moment, so they must never insult them. If you grew up this, know that your advantage in life is in your ability to be diplomatic and patient and to set goals that are not easy to achieve, without giving up on yourself. On the other hand, there is a chance that, as you're accustomed to this behavior, you don't value your achievements or you give up opportunities to try new things fearing that you won't be amazing at it. To help yourself overcome this, and to achieve a deeper sense of satisfaction, make a list of all the things you have achieved in your life, things that satisfy you. Most parents to see their children happy, but for envious parents, their children's success might actually prompt hostility. A kid who comes home from school with good news expects to see a smile on their parents face, but when it comes to a jealous parent they will be met with an angry unsatisfied face; "One day you'll understand that you're not as great as you think you are." In less extreme cases the parent will seem enthusiastic at first but after a few minutes will change their tone and focus on diminishing the accomplishment using sentences : "You're starting to make a lot of noise, maybe be quieter," or, "Okay, we got it! Can you please stop showing off." Instead of building up the child's self-confidence and showing them their potential, a jealous parent might deny them the feeling of independence and pride that they should be feeling. This type of parent looks at the child and thinks to themselves "why can he be so happy and not me," or "why does he have opportunities for success while I'm constantly disappointed." The child learns that the good things that happen in his life can hurt others, especially people who are close to him and who he wants to please. Envy on behalf of parents often appears when the child reaches adolescence and starts discovering the world and himself. Instead of seeing the child as a source of pride and rejoicing at the fact that the child is blossoming, jealous parents feel as though the child has taken something from them. They feel as if they can develop a convenient and safe relationship with the child only if he has lower self-esteem than them. If this type of parent sounds familiar to you, this experience has a silver lining as well. There's a great chance you've learned to ignore jealous people tactfully and you know how to distance yourself from criticism that comes from jealousy. It's also possible that you are the type of person who strives for excellence and is especially driven by your parent's dissatisfaction. But if you are still trying to please and prove yourself to them, remember that your parents will never be satisfied and there is nothing you can do to change that. Moreover, many studies show that chasing other people's approval only prevents our own happiness. Instead, draw strength and energy from the thing that you value in yourself and pay no attention to other people's opinions. Often as a result of depression, or drug and alcohol addiction, a parent may become emotionally unavailable to their children, which leads to a problematic relationship between both sides. A long-term emotionally unavailable parent has a negative effect on the chemicals that are secreted in the child's brain. In the case of mothers, for example, a close emotional connection with a baby helps develop the systems in his brain that controls emotions, thoughts, organization, and planning, and increases the development of cortisol receptors in his brain, which aids in dealing with stress. When the emotional connection is severed, the development of these systems diminishes. Children who grow up with an emotionally unavailable parent, one that stems from depression, for example, may see themselves play the role of protector or comforter in their parent's lives. They will feel guilty that they are happy when their parent isn't and will constantly try to make up for it. If you relate to this situation, feelings sadness or happiness may seem extreme and risky, or feelings that only spoiled people experience. You may also tend to believe that other people's needs are more important than your own, that you must always act mature and that you can't trust others to be there for you. You have to accept the fact that you're now an adult and start questioning the way you've behaved till now – get rid of the guilt you feel when others around you are not happy. The minute you understand that you aren't responsible for others' feelings, you'll start a chapter in your life in which there will be room for new experiences that you both want and need to experience. The cases spoken about may seem extreme, but they're not uncommon. Today there is more awareness about raising happy and healthy kids, and your parents may have raised you in a way you'd to spare your children from. If you've recognized that you grew up with parents who have damaged you, internalize that you can change the present and the future, but you cannot change the past. If you're new parents yourselves, take this experience and opportunity to change and create a completely different family. Really look at your feelings and behaviors to make sure your kids aren't suffering you did, and make it a corrective experience.